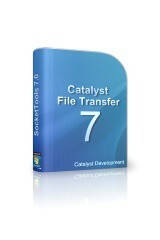 File transfer .NET and ActiveX components for Internet application development. 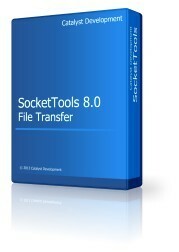 The SocketTools File Transfer components enable you to easily integrate file transfer functionality into your applications with just a few lines of code. The standard FTP and HTTP protocols are supported, along with secure connections using SSL/TLS and SSH. Includes .NET and ActiveX components on 32-bit and 64-bit platforms, with support for both IPv4 and IPv6 networks. Documentation, examples and free, unlimited technical support included. Internet mail .NET and ActiveX components to send and retrieve e-mail messages. Windows libraries for Internet and intranet application development. Components to simplify the development Internet applications.